Ulthuan • View topic - 15mm Flora & Fauna in the Ashlands out now! 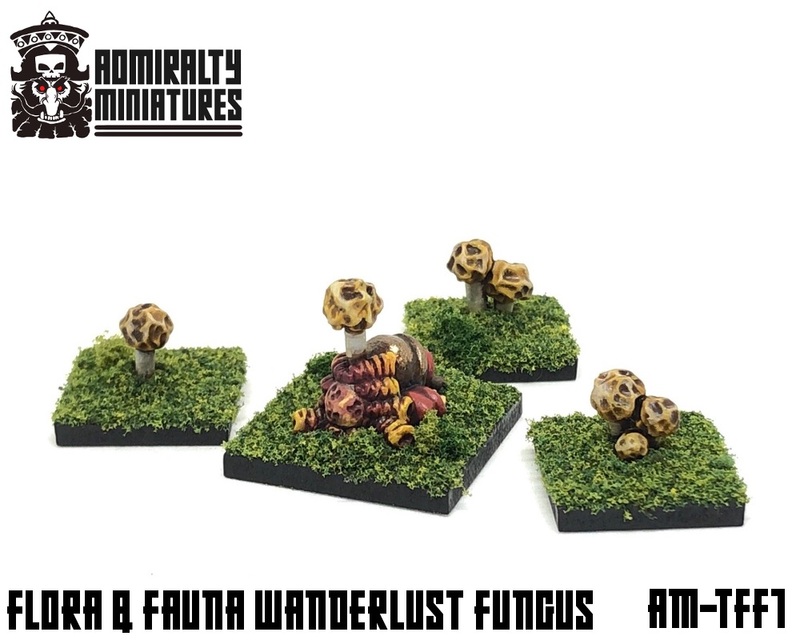 15mm Flora & Fauna in the Ashlands out now! 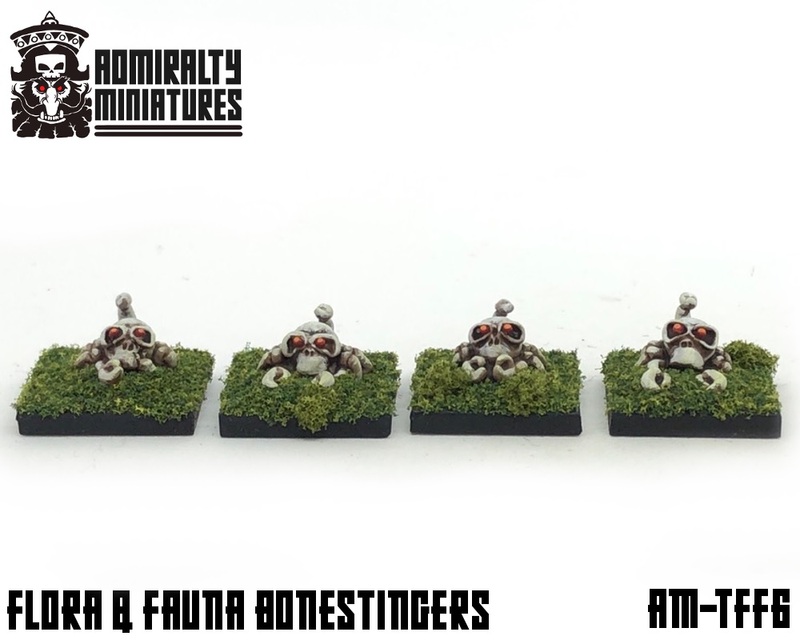 Post subject: 15mm Flora & Fauna in the Ashlands out now! Beyond soaring mountains lie the vast Ashlands, a harsh patchwork of landscapes varying from steppe to lava pools and giant briar forests, cut through by dry wadies, gaping earthquake fissures and unclean streams alike, and dotted by oasises that are all too often toxic. Foreigners' babbling rumours has it that this is nought but an empty desert - nay, it is hell on earth, a realm of smoke where daemons in towering headgear cavort in fields of fire! Yet in these nightmarish environs, life is still to be found, far more plentiful and rich in shapes and species than one would expect of such inhospitable wastelands. These are all rugged lifeforms, made deadly or cunning or wretched to survive and prosper in such dangerous lands. 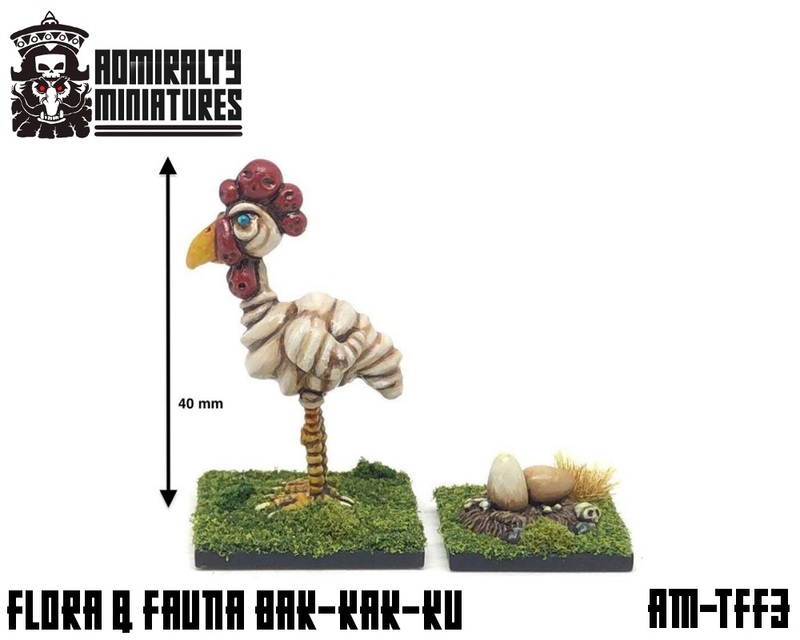 On the southern Bonefields, the fabled Bak-kak-ku bird hunt and breed, infamous for its aggressive temper and sought after as a monstrous mount by Tjubgob riders. 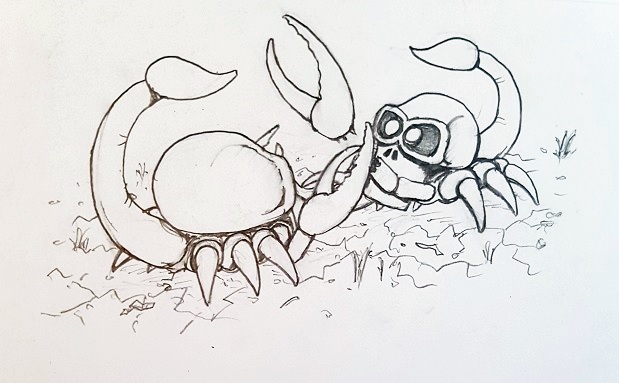 Dreaded Bonestingers skitters on the Bonefields among the graveyards of monsters, their bodies shaped like skulls, ever the main prey of the Bak-kak-ku. Floating on hot streams of air are to be found the Yri-Moss-Han, great creatures resembling jellyfish with paralyzing tentacles, which Tjubgob shamans collect to chew on, in order to increase their magical potential and open up their minds. The Wanderlust Fungus is an insidious horror of the Ashlands, for it infects living beings and alters their personalities until the host body is little more than an empty shell wandering about the wasteland, until they come across optimal conditions for founding a new colony of fungi. 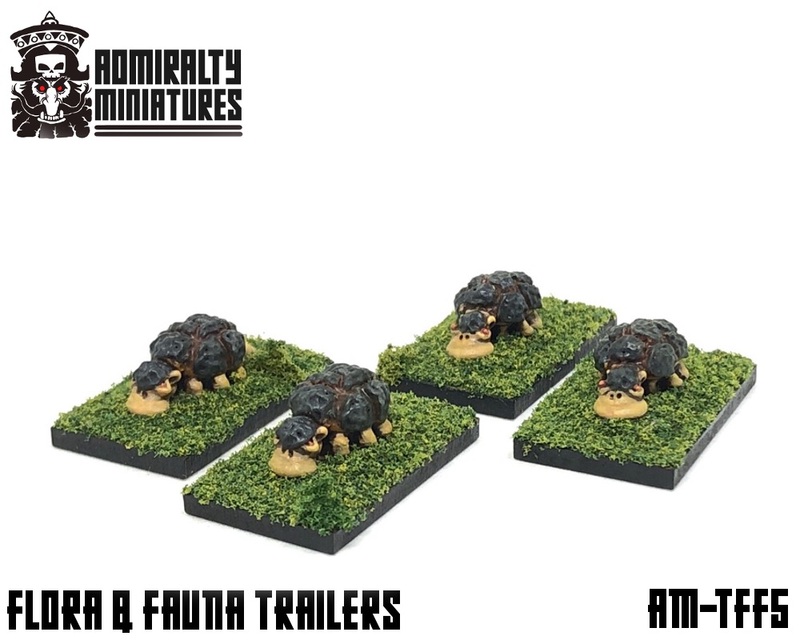 All over the Ashlands can be found Trailers, slightly resembling armadillos and turtles. These tough scavengers are attracted to caravans, and will eat almost anything left over by the caravan. The longer a caravan has travelled, the more Trailers follow in its wake. Such are some of the flora and fauna in the Ashlands. 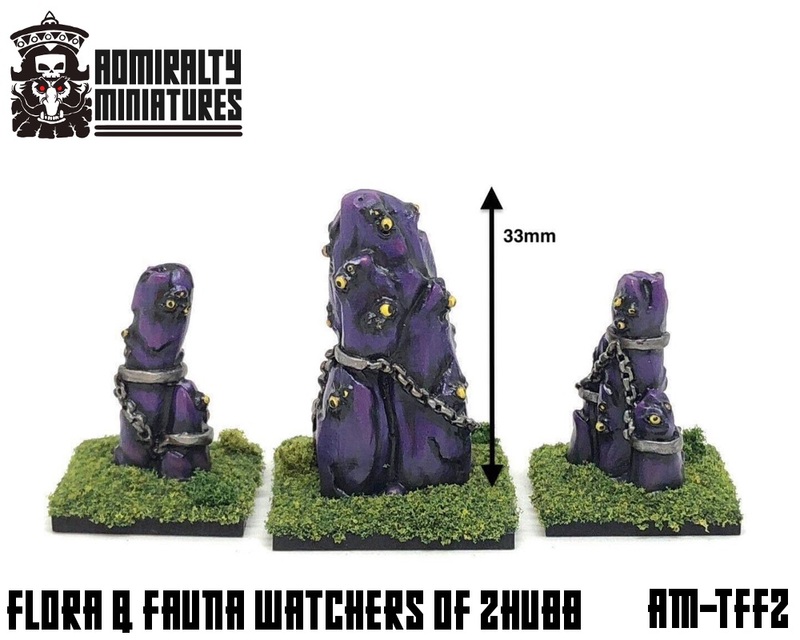 These miniatures are out now! Order your 15mm Flora & Fauna here: Sculpted by Tobias "Tjub" Torstensson and spincast in whitemetal by War Banner. Sold unpainted and unassembled. Please note that 1 in 4 of each kit of Bonestingers only come with 1 claw, due to mating season battles and casting quirks. Fancy some weird wildlife for your fantasy collection, or perhaps some alien critters for your science fiction games? 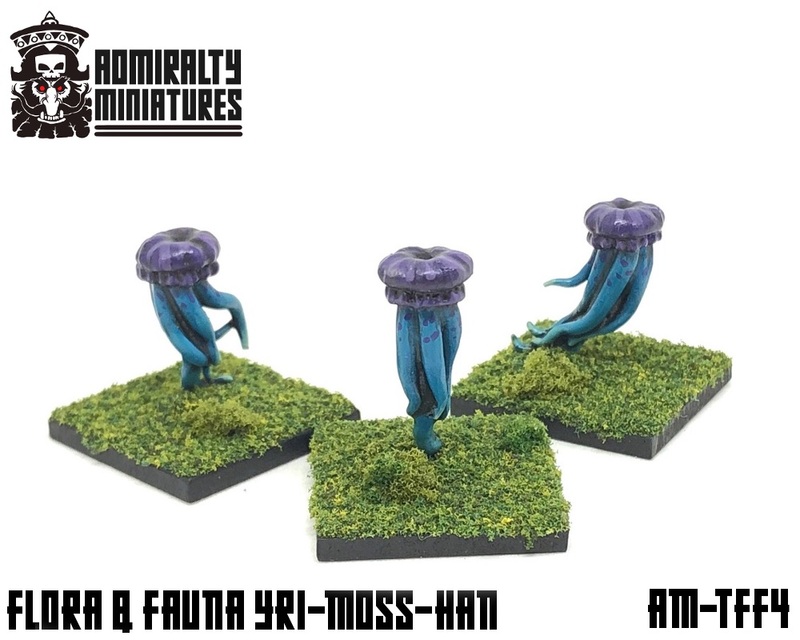 Post subject: Re: 15mm Flora & Fauna in the Ashlands out now! That is one weird collection of wildlife. That map is still just a sketch and a brainstorming work document on Tjub's and my AM Google Drive folder, Rod. There will be much more on this in due time, but for the moment, what you see above, is all you've got to find on a search. You can return to work. You can return to work.